Canon USA has reintroduced the CarePAK Plus service. Most recent Canon DSLRs as well as the new EOS R, and 13 lenses are covered. CarePAK offers 13 months free accidental damage protection and up to two Canon Maintenance Services. Canon CarePAK is free with every eligible camera purchased between October 21, 2018 and January 5, 2019. Valid only for purchases from Canon USA. More information on Canon USA’s page. When I read parts of the interview below, I had sympathy for the engineering team. They were given an impossible task. Satisfy millions of current Canon DSLR users and attract millions more new mirrorless buyers and innovate. Oh, by the way, you are limited to a much smaller body to work with. All the EOS-R innovations mentioned below can be applied to current DSLR if the engineers are given the same money and time to work on the present and future models. Considering Canon is the largest photographic company in the world and the last to announce a full frame mirrorless camera, the result is nothing to write home about, especially for serious and professional photographers. Like I said before, why be a Johnny-come-lately follower, when one can be a real innovator. All the current full frame mirrorless cameras from the Big 3 look alike. They all use a separate line of lenses. There is No technical reason why a full frame mirrorless camera need a new mount different from a full frame DSLR mount. It is a marketing decision to have the new full frame cameras be smaller to appeal to a larger user base. Faced with a new size limitation, all features and functions have to adapt to the new reality. The engineering team tasked with developing the EOS-R full frame mirrorless camera system gave an interview to DP Review recently. Below is an excerpt of their discussion. 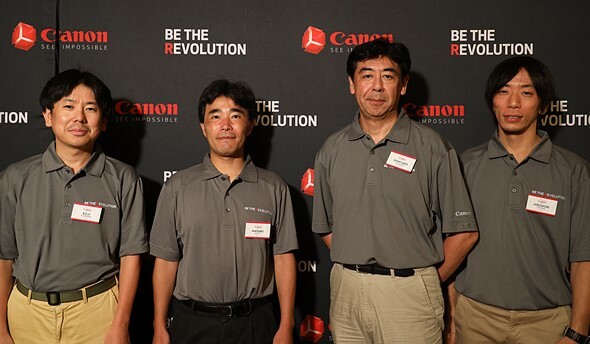 The launch of Canon's EOS R gave us a chance to talk to a group of the engineers involved in the project. The company put forward an engineer from each of the main parts of the development process: physical design, optical design, UI design and overall product design. They talked of being given more freedom than ever before but also of the need to build on the EOS system's strengths. Canon has been consistent across its launch, when it's said that the important announcement isn't the EOS R, specifically, or the fact that there's no mirror, but in what the RF mount allows them to do. Manabu Kato sums up the freedom they've gained in terms of optical design: "people who've been working on lenses for a really long time have, with this new system, been able to make lenses like the 28-70mm F2 comparably easily, compared to how they had so many challenges in the past." "By having [more] data being transferred between the camera and lens...you can improve the autofocus, metering and image stabilization performance"
As well as allowing more ambitious optical designs, the RF mount also adds data bandwidth, moving from eight communication channels to twelve. "During shooting there's a massive amount of data going between the lens and the camera, so making sure that was smooth was another challenge," says Kato. "By having that huge amount of data being transferred between the camera and lens, you can improve the general performance in relation to autofocus, metering and image stabilization. And you can also add features such as the control rings on the lenses." "You can also use DLO without any problems," he said. Digital Lens Optimizer - Canon's name for digital lens corrections - previously required that the camera look up the data in a database, meaning that camera firmware needed to be updated to accommodate new lenses. It's now supplied in real time by the lens itself, so there's no need for a look-up step. This real-time data flow allows the use of Digital Lens Optimizer and distortion correction in video for the first time. And it's clear that, despite the EOS R's comparatively modest specs in that area, Canon has done a lot of thinking about the needs of video shooters. "Getting rid of [the mode dial] was a big decision that required a lot of consideration"
"In relation to the optical system, we gave consideration to focus breathing*, and also aperture control: you can change the aperture in 1/8th stops," says Kato. "also the Nano USM, it's very quiet and quick: the first time in an L lens." "if you have a mode dial then the [exposure] settings will be the same for both stills and movies." The decision not to offer a mode dial on the EOS R was not taken lightly. "We consulted with a lot of different people and talked about this a lot, and decided to have different settings this time," he says. But it's clear this isn't a decision made lightly: "[The mode dial] is a function that's been common in the past, so getting rid of that was a big decision that required a lot of consideration," said Shintaro Oshima. "There was a lot of internal discussion about this point," concurs Yoshida. "our biggest challenge was making this look like an EOS camera with just a single glance, you can see that it's an EOS camera, based on the traditional styling of the EOS cameras. And also the feeling, when you hold the camera - as soon as you hold it in your hand, you know it's an EOS." "the challenge we faced in terms of the software or the interface was making sure that it's got the same basic controls as an EOS: to carry on that operability that EOS users are used to, then also implementing new elements into that design at the same time." "We used the mirrorless AF modes but we also also included features from the 5D Mark IV AF, like Expand AF area and large zone AF: this is the first time this has been introduced in a live view camera from Canon." "it was difficult ensuring that compatibility. But we think that's a big plus for the system." Tellingly, the team looked for ways to add new features. "We also achieved the control ring adapter which brings additional value to EOS lens users," says Kato: "The same applies to the drop-in filter adapter: it gives added value to those who already have EF lenses. We wanted to make sure that we looked after our current users of our EF lens system." "The control ring adapter brings additional value to EOS lens users...the same applies to the drop-in filter adapter"
"another focus was the low light limit performance. 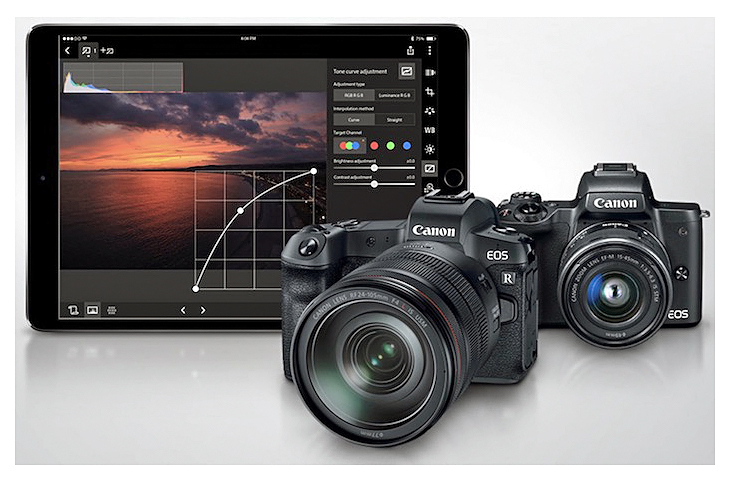 That's a point of evolution from the EOS cameras." "Another focus was the low light [autofocus] limit performance"
"The light coming through the lens affects the sensor in the long term. The color filter array and microlenses and also the photodiodes can all be damaged by light [if the sensor is always exposed]." To then protect the shutter blades, the camera stops its lens down and displays a warning not to leave it facing towards the sun, without a lens cap. "The aperture cannot be closed completely, so that message is kind of a safeguard," explains Kato: "We're kind of proud of the fact that with a simple idea, we've been able to increase value for customers." As usual, no one was able to discuss future products. When asked whether there was any chance of an APS-C RF-mount camera, Oishi was suitably non-committal: "we're thinking about it, but we can't answer in detail," he says. But the individual engineers did all discuss what they were looking forward to. "We want to surprise and astonish you, so please expect big things"
"This is just the start of the system," he says, talking about F2.8 zooms and other possibilities, before settling on a broader-reaching point: "We want to surprise and astonish you, so please expect big things." How Does Auto Focus Works In Today's Modern Cameras? Sadly, the EOS-R does not do fit any of my requirements except the feel and EVF of the camera is good. As expected, the pro model of the EOS-R will be announced some time in the first half of 2019 to compete with the Sony A9, Nikon Z7, Panasonic S1 R, etc. My question to Canon is - Why be a Johnny-come-lately follower rather than an industry leader? There is NO technical reason why Canon cannot make a full frame mirrorless camera that resembles the EOS-1 body and uses the EF native mount. It is totally doable. The compromise is made because the marketing department thinks more photographers will prefer a lighter, smaller camera - one of the main selling points of the mirrorless camera to begin with. "Yes, we are aware that mechanical stabilization is an important demand from the users, but considering the positioning of the EOS R, we decided not to integrate the IBIS […] because our priority was compactness. The compactness we wanted to have was not compatible with such a system. But of course, in the future, we will be able to answer them. This is our first model. We still have room for improvement. For the memory location, it is a question of compactness and priority for the photographers covered by the EOS R. We believe that one location is enough. And for the video, it’s the same answer. We believe that the intended target will be satisfied with the proposed modes." Canon knows it is playing catch up to Sony in the high end mirrorless space. I hope they will not be distracted in spending too much time and money on beefing up the EOS-R line and delay some of their DSLR and EF lens upgrade. After all, the big prize - 2020 Olympics in Tokyo is just round the corner. How many pro photographers around the world do you think will be using the EOS-R to capture images of the game? 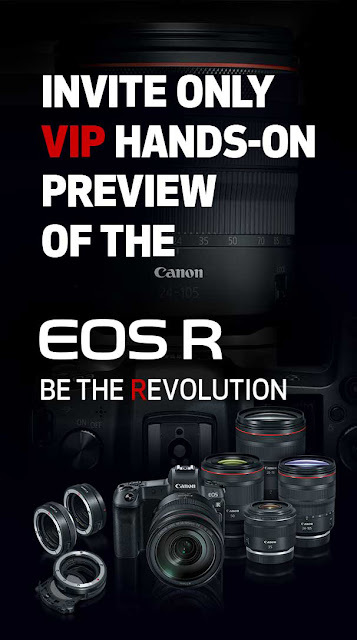 Over the next couple of years, one will hear all the wonderful new features and performance of the EOS-R and other full frame mirrorless cameras from the paid and 'unpaid' pundits, like superior 4K/near 8K video, in body image stabilization (IBIS), low light performance, unmatched ergonomics and mobility from a lighter body, etc. 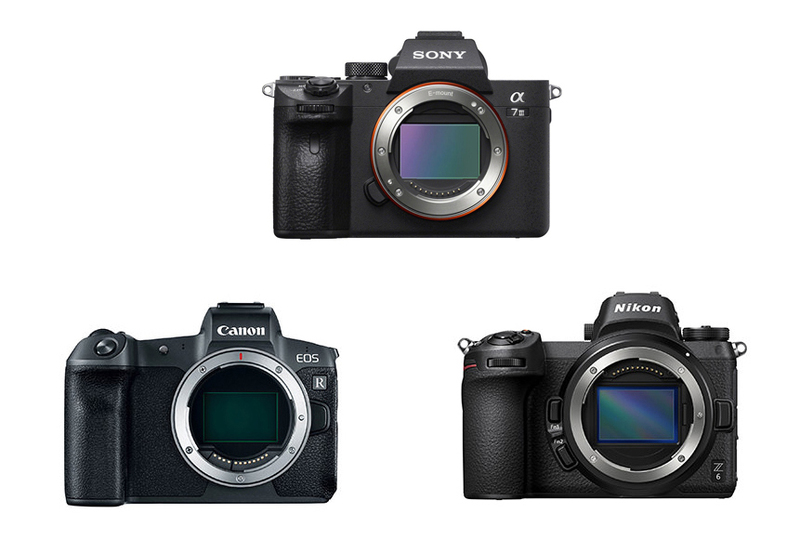 The truth is many features and functionalities of high end DSLRs and Mirrorless will converge in the future until there is a almost a difference without a distinction. The real question is, how many photographers are ready to trade in or add another camera/lens combo to their current DSLR/lenses inventory. The use of an adapter and the small size of the EOS-R prevent the new camera from functioning like the tradition EOS high end models. For those who like good performance and compactness wrapped in a small package, high end mirrorless cameras may be your solution. Personally, I am not willing to make this trade off to gain compactness and a little weight reduction. Until Canon is prepared to offer a full frame mirrorless version of the EOS-1D X camera, I will continue to trade up to the successor of the EOS-1D X Mark II, EOS-7D Mark III, EF 400mm f/2.8L IS III, etc. as they become available. The EOS-R may find a home with serious landscape, nature and portrait photographers. For the casual mirrorless users, the EOS-M series of cameras will do an adequate job. I doubt many serious and professional sports or wildlife photographers will buy this or the 'pro' model coming in 2019.